We do a LOT of quick / fun / easy dinner recipes here on What’s Gaby Cooking but I also feel VERY strongly about a good side dish. 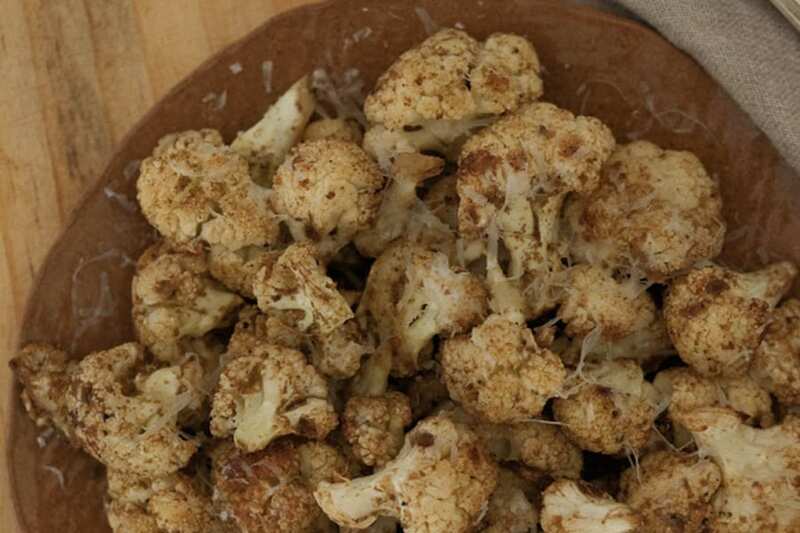 This Parmesan Roasted Cauliflower is the perfect example! There were many occasions back in my private chef days when people would be anti-veggies. I think that stems from not knowing how to cook them years ago and never growing to love them. 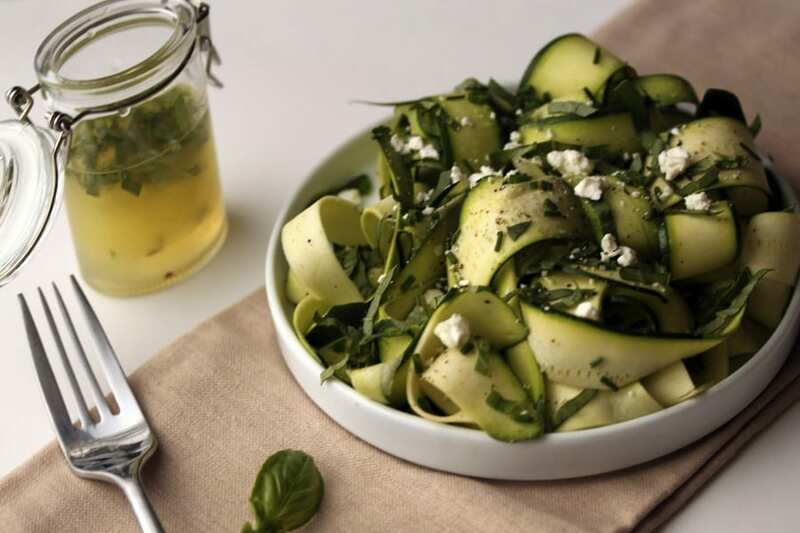 Here’s the deal – if you cook them right, you’ll be hooked. Take my roasted potatoes for example – best potatoes ever. Brussels – obsessed. Adults love them, kids love them, everyone wins. Same goes for this Parmesan Roasted Cauliflower. It’s roasted until the outside areas are caramelized and flavored with tons of onion, thyme, garlic, oil, salt and pepper. Simple but perfect. 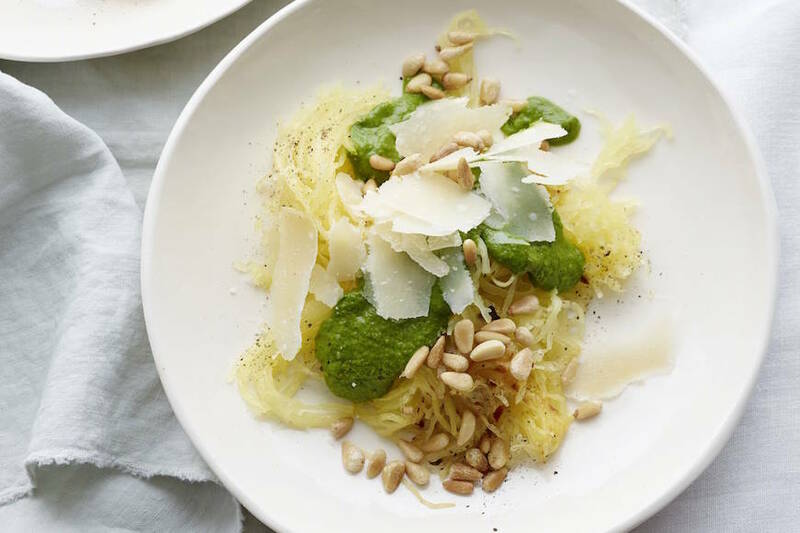 It’s finished with a touch of Parmesan but you could easily leave that you if you’re vegan or non-dairy. Make it!! You won’t be disappointed! Everything about it makes me happy – including peeling the individual cloves of garlic once they are roasted and slathering them on every piece of cauliflower. YES PLEASE! ALSO – side note. If you make this on the regular like me, it’s pretty freaking awesome when you dip the leftovers in hummus. Just saying. 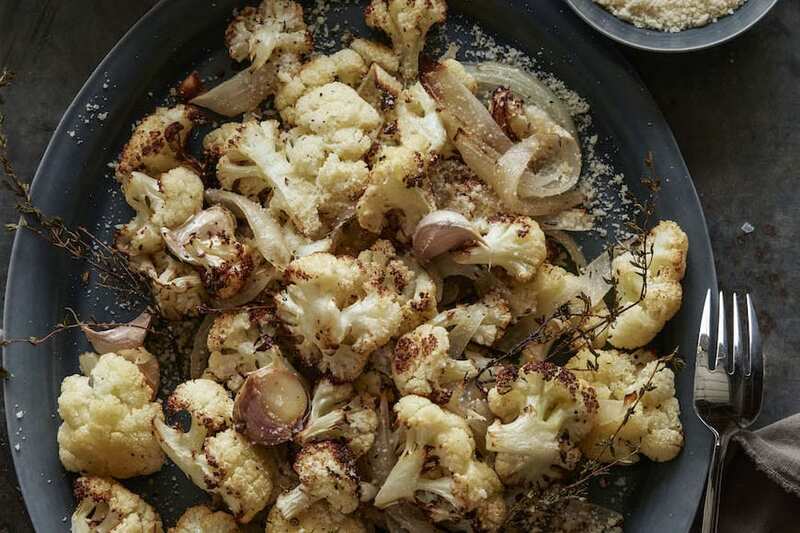 Toss cauliflower florets on a large rimmed baking sheet with onion, thyme, garlic, and oil; season with salt and pepper. How have I never had this? It sounds soon delicious!! You don’t explain what to do w/ 4 unpeeled garlic cloves. Suckered ’em from skins? This looks un-real good!!! 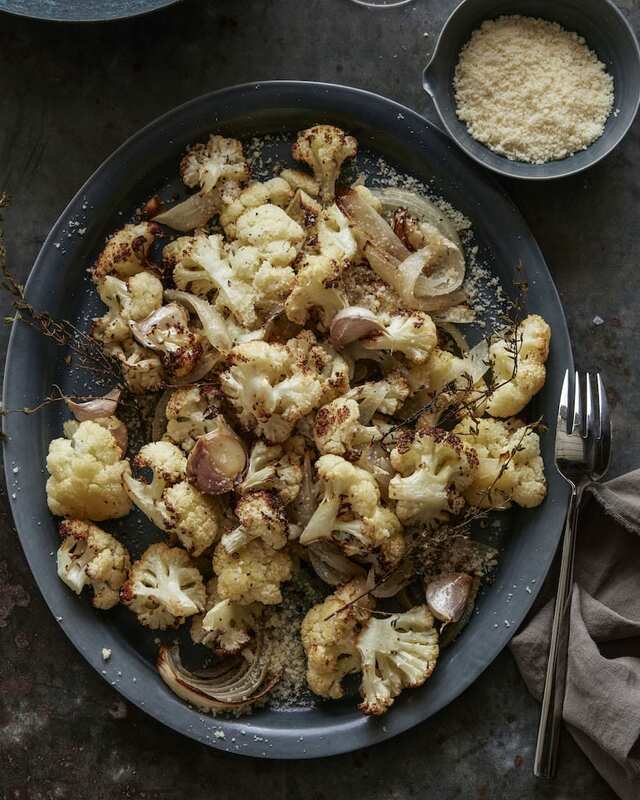 I have been craving parmesan roasted cauliflower and this version looks absolutely delicious!! I am going to make your version this weekend! YUM! What a gorgeous cauliflower dish! I bet that Parm is amazing! 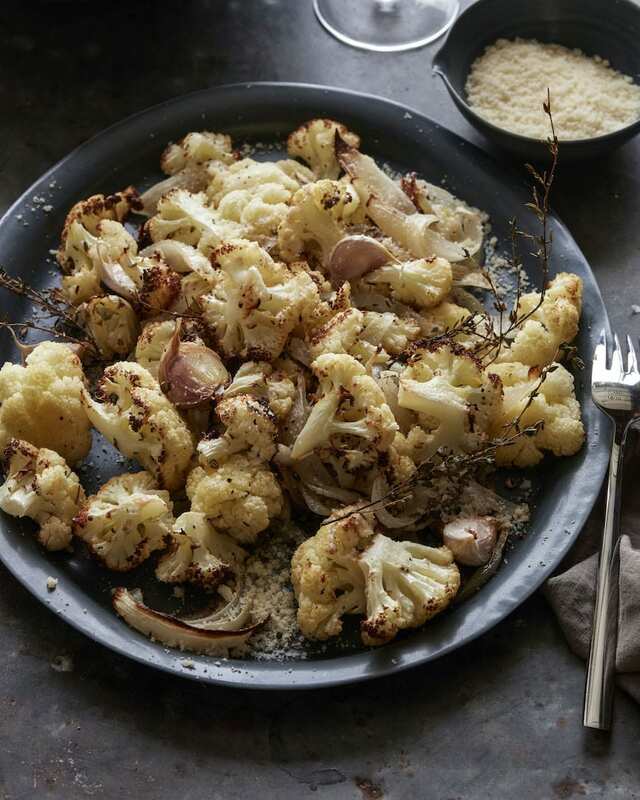 I’ll never turn down roasted cauliflower! If I want to bring this for Thanksgiving, what the best way to reheat it? Should I add the Parmesan or wait until the day of?